Norcia, ancient city of Roman origin perched on a hilltop of 600 metres overlooking the valley, is known around the world for two things: the first being the birthplace of Saint Benedict, founder of the Benedictine Order, in 480 C.E. 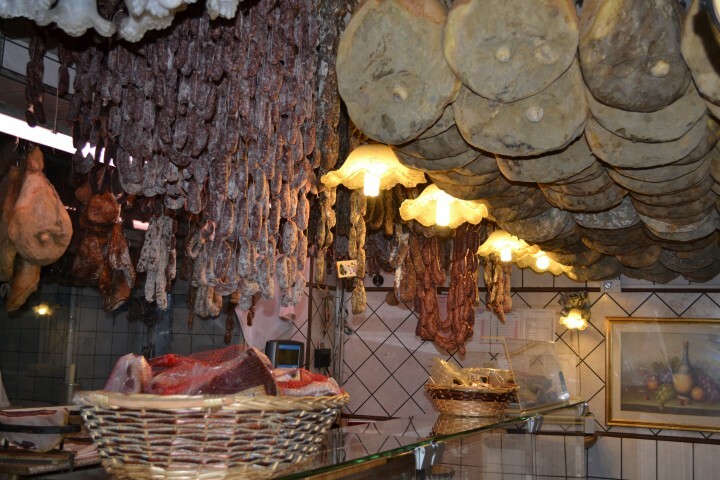 ; and the second being a way of ennobling the arts of human labour having cultivated since the Middle Ages a tradition of pork charcuterie and black truffle hunting, two local delicacies appreciated worldwide for their rarity. Indeed, in the Italian language, the words “Norcino” and “Norcineria” derive from the name of our town and local tradition, and have come to refer to artisanal pork butchers and butcheries, respectively. 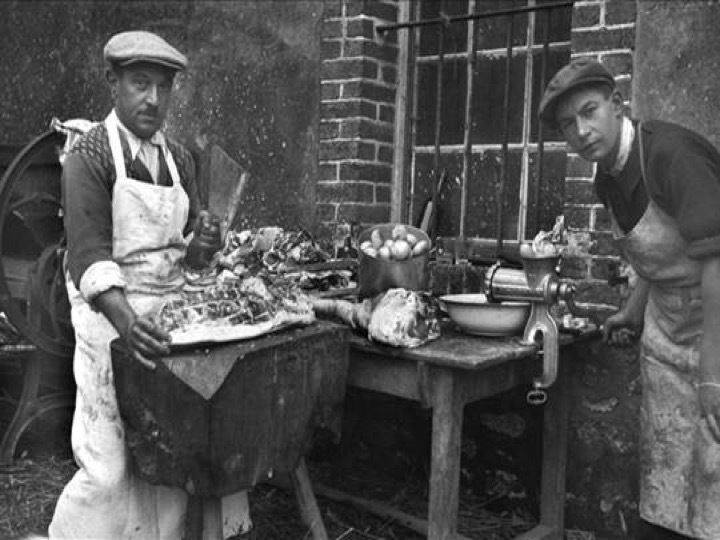 Historic photo below — two swine butchers from Norcia and a glimpse of the interior of a typical butchery (Source: Google).